From the 19th to the 23rd February a group of brothers responsible for the Marist formation of the post-novitiate, also called stage one, met in Rome. It is the first time that this kind of meeting has taken place. We spoke with Brother Teófilo Minga, Secretary of the Commission for Religious Life, who co-ordinated the works of this meeting. AMEstaún. To whom do we owe this initiative? Who called this meeting? Teófilo Minga. I must stress that it was a meeting of formators of the post-novitiate – 1, which refers to the first three years of formation after the novitiate. The meeting was requested by the Religious Life Commission, after my predecessor, Brother Ernesto Sánchez, had visited all the houses of formation of the Institute as Secretary of the Commission. 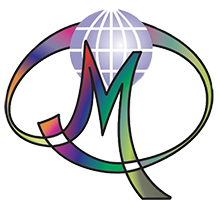 The observation made by brother and the subsequent reflection advised bringing together all the formators of the entire world at this level of formation of post-novitiate – 1 to try to seek common orientations of formation in the Marist world. How many brothers, still in formation, are accompanied by these Brother Formators? Fifteen brothers came to the meeting. Sixteen registered, but one of them could not come. All of these brothers look after some one hundred and sixty young brothers who are engaged in the formation of the post-novitiate – 1. Very spread out and a very unequal distribution. I have here the numbers. For example, the large institutional scholasticates which are the MAPAC and the MIC; the first has thirty-four scholastics and the second some seventy. But we also have several scholasticates, let’s say, of average size, like those of Brazil and of Mexico which have around a dozen brothers each, but we also have scholasticates in which there is a formator for one scholastic, as is the case now in Europe and in Australia. Has the restructuring of Provinces also led to the restructuring of scholasticates? Is there a scholasticate that we could call “international” being constituted by brothers of several Provinces and of several countries? One of the important points of the discussion that we had during the meeting and during the exchange of ideas was the promotion of inter-culturality which is encouraged everywhere more and more, not only in the scholasticates but also in the novitiates. In responding to your question, I would say that the two large international centres, the MIC which includes the scholastics of Africa and the MAPAC which looks after practically all those of Asia and of the Pacific are international scholasticates. The other Provinces settle their problem in accord with the situation of each country or region. What were the objectives proposed in this work with this international group? We had five objectives, even though not all were of the same importance. We firstly wanted to exchange, with the fifteen brothers who came, about the diversity of formation plans in the scholasticates in order to be able to define the lines of convergence which are perhaps necessary. The second objective was to obtain a clearer vision of the different stages of formation, of the novitiate and of the post-novitiate – 2; to examine some concrete concerns that the General Council has about this stage of formation. For that there was a document that all the formators had received and served as a base for the discussion. And finally, a more concrete point was to undertake an evaluation of the value and the usefulness that the Formation Guide has today. Where is Marist formation currently heading in this stage that retained the attention of the formators? From the data that was contributed by the groups, in this stage there are new nuances that we did not experience twenty or twenty-five years ago in our formation and they especially stem from the circumstances surrounding young people today and their way of being. It is necessary to clearly know who the youth of today are, to know them, to be conscious of the challenges that they represent, to remember what we have already previously said: the inter-culturality and the inter-congregation. It is also necessary to give importance to problems such as affectivity and sexuality to which we gave special attention during this meeting. During this stage it appears that in nearly all the scholasticates the idea reigns that the young brothers must have a professional qualification doing studies at a middle or university level. Is this a generalised tendency or is this pursued only in certain scholasticates? It is what we see in practically all the scholasticates and it was a point that retained the attention of all the collaborators at the meeting; we know that the objectives described in the Formation Guide for the stage of post-novitiate – 1 is religious formation: continuing and consolidating biblical formation, Marist formation, that is to say the bases of religious formation. But on the other hand, we note that , either by the possibilities of each scholasticate or by the will of the Brother Provincial themselves, more and more at this stage the professional formation is being insisted upon a great deal. Thus there is some tension between these two points: formation that is rather Marist and religious or professional formation. The two are not surely opposed but there is a tension between the two. And, this tension between the professional formation and the formation for the mission, is it sufficiently balanced? It is here that we have discovered the challenge. We want a certain balance to exist and we want to obtain this during these two or three next years of formation, as some Provinces have already done. The young brothers must be well prepared for the mission, and at the same time, they must discover the international dimension of the Marist mission, but without forgetting and consolidating religious formation. Deficient religious formation surely does not help in the perseverance of the young brother. They must be prepared for the mission but at the same time thinking that it is a mission that goes beyond national borders. You have spoken of the Formation Guide as a reference. Is the Formation Guide still current today? You must remember that the first edition of the Formation Guide dates from twenty-one years ago; then there was a second edition twelve years later, consequently a lot of time has passed since it was produced. The central idea in the group is this: it needs to be updated, improved, but by always distinguishing between the “how” and the “what”. With regard to the “what” we have again said that we find it very rich for today even though it must be updated for example on the subject of inter-culturality, inter-congregation, or regarding the problems of affectivity and of sexuality or the relationship between the individual (subjectivism) and the institution. However, I insist that there are still very precious and clear contents. But where there needs to surely be a great modification is in the “how” of formation; how to update and propose to the scholastics the formation that the Guide proposes. The scholastics of today have another sensibility, another vision of the world and of the Church. We must be attentive to these new approaches and to these new intuitions, by always safeguarding some non-negotiable values in formation, which are found beyond all the cultural aspects. Culture cannot suppress spiritual formation, accompaniment, the knowledge of the Marist tradition, the life of prayer, community life, to mention some of these non-negotiable values. That is where it is necessary to make some great modifications. After the reflection and the discussions that took place during these days can it be affirmed that, in the Institute, there is a convergence on the formation plans of this stage? Are there some clear ideas that are leading in the same direction or are there divergences? There are many divergences. And this was one of the points that we examined. And if we must summarise the five objectives about which I have previously spoken, they could be summarised in only one which is that of finding common lines of formation, always respecting diversity. But we have seen that there are different structures that are difficult to harmonise. A MIC with seventy scholastics requires a very different structure to that of a scholasticate where there is only one or two scholastics working with a formator. There must be various ways. There are divergences but we have the objective of seeking convergent base lines. It was a first meeting of brothers for thinking about the present moment of formation at the level of the post-novitiate. Is it planned to give a certain follow-up to this reflection? How can the follow-up be accomplished in the future? In the evaluation done by the participants there was not talk of any follow-up to this type of meeting, but yes we have proposed organising similar meetings to this one for different groups, such as the masters of novices or the brothers who work in the post-novitiate – 2, so that we can clearly define the objectives of formation and follow it up especially to safeguard what is fundamental in Marist formation. This meeting was the first activity that you organised since you assumed the responsibility of running the Secretariat for religious life. What is your work plan for the future in this new responsibility? Yes. It is the first. I came here a little apprehensive. You know that I was among the first brothers who participated in the Mission ad gentes at Davao. I was very happy there, but I came to Rome to serve the Institute, even if this change cost me. My activity for the future is going to be developed in three main directions. Firstly to do the follow-up and support the brothers in initial formation, a responsibility I inherited from Brother Ernesto Sánchez. Secondly, to follow up the formators course that took place in Nairobi and ongoing formation, in general. 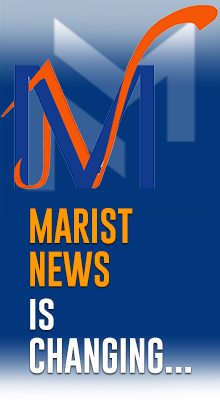 And thirdly, which is going to take me a lot more time, especially during next year, is to distribute and make known the document on Marist spirituality. 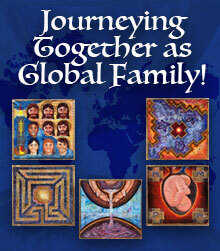 This document will be published in four languages at the end of June 2007 and it will be necessary to develop a plan for animating the Year of Marist Spirituality planned for 2008 as a preparation for the Chapter.